The Met are nothing but a police state for London. Calls the coppers allsorts that would have had them locking us up for the night had we said it, but he didn’t call them plebs. 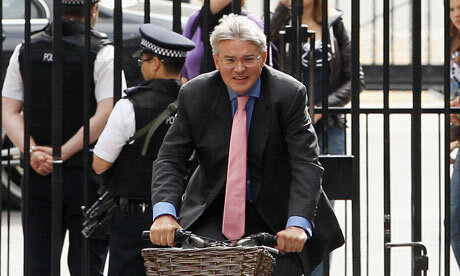 Mitchell was said to use the word “pleb” in his daily speech as a matter of course. Why wouldn’t he revert to form under pressure? I’m sick of this man and those like him as you say, Mike, have the money to fight through courts. The “Justice” system in this country is now only for the wealthy and the likes of Abu Hamza.. oh wait, he’s on legal aid which means of course we all pay for his (and the government’s) endless cat and mouse appeals to the tune of millions. What a crazy world we live in. PS: Just don’t let Mitchell back into Foreign Aid, which is what he’s angling for, I wonder why… I’ll answer myself, the Big Money when his time in government’s over. Like Blair, I mean how the heck has he amassed a multi-million pound fortune since? He wasn’t that hot a shot when he was among us. They’re all drooling at the mouth to get into government – and cling on with their fingernails if needs be to stay in it – for the contacts it gives them, not for the good of us who vote them in, that’s for sure. Great article, Mike, keep going. Mitchell, the pleb, obviously wants to keep digging himself deeper into his hole.